Doug Campbell, after serving over 20 years as the TRW representative on the ASC Board of Directors and Committee Chairman retired as TRW Vice President of Engineering to become the President of ASC in 2008. As President of the ASC, Mr. Campbell oversees all of the 50 member organization’s activities which includes the day to day operations; being the organization’s spokesperson and conference speaker ; governmental affairs contact to help educate US and State Congressional members about auto safety; replies to NHTSA rule making/ questions; promotes the use of Autonomous, ADAS, Passive, Interior and Child Safety; supports activities of other groups involved in auto safety; member of the SAE Government and Industry Meeting Planning Committee and coordinates ASC member technical committees including the annual 4 day global safety conference which features the premier auto safety leaders of the world.As TRW Vice President of Engineering for the global Occupant Safety Systems business for over 20 years, he oversaw all engineering activities for the inflatable restraint, seat belt, steering wheel, safety and security electronics and lane keeping/ guidance product lines with a budget of over $300 million and 2200 people in 13 countries. Mr. Campbell earned a Bachelor of Science degree in Mechanical Engineering from General Motors Institute / Kettering University. He holds a Master of Science degree in Engineering Design and Economic Evaluation from the University of Colorado and a certificate in International Business Studies from the American International Graduate School of Business. A Professional Engineer, Mr. Campbell has been chairman of various committees of the Automotive Safety Council, the Society of Automotive Engineers, American Management Association, and the International Association of Oil Drilling. He has earned TRW’s Chairman’s Award for Innovation, Baker International Management Award, numerous patents, and the Engineering Innovation of the Year Award from Petroleum International magazine. He began his engineering career as an Engineering co-op student with the Inland Division of General Motors in Dayton, Ohio. From 1969 to 1982 at GM, he held a variety of engineering and management positions; including leading the corporate ball joint product line business and managing the occupant safety sled test activity. He was a member of the original 1000 car build team that placed air bags into production in 1973 and was an early pioneer in air bag technology. Mr. Campbell was the Chief Engineer at the Reed Tool Company division of Baker International in Houston, Texas, from 1982 to 1987 where he was in charge of all the oil drilling Engineering. Managed the business through a severe depression resulting in the reduction of employment from 3500 to 350 and then was able to stabilize the company with a new product invention that gained him the Industry’s Product of the Year Award which increased sales and made the company profitable. He then held Vice President of Operations and Engineering positions for Talley Automotive Products in Mesa, AZ, where he helped start and build the new air bag division that was later acquired by TRW. In this role he oversaw the building from scratch the entire business including customer business acquisition, new product development, operations construction and strategic planning. As the TRW Engineering V.P., he guided numerous new products into production to save lives through new innovation and markets around the world. He was the chief technical spokes-person for TRW to the government, wall street firms, Board of Directors, global customers and the news media in addition to running the global Occupant Safety Engineering Department. As President of Campbell & Campbell Consulting, he provides Management, Engineering, Technical, Government Liaison and Litigation Support to clients. ASC is a long term client utilizing Management, Government Liaison and Technical Consulting to operate their non-profit organization. ASC members include Adient, Aptiv, Autoliv, Bosch, Continental, Infineon, Joyson Safety Systems, Siemens, Tokai Rika, Toyoda Gosei, Velodyne Lidar, Veoneer, ZF and their major suppliers. Mark Wehner is the Chief Technology Officer and Senior Vice President of Engineering for Joyson Safety Systems located in Auburn Hills, Michigan. 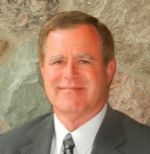 During his career with Joyson Safety Systems, Mr. Wehner was President & COO of Global Safety Products Business Unit, President Airbag Business Unit, President of Global Seat Belt Business Unit, President and Chief Operating Officer of Europe, President of Airbag & Inflators Europe, VP of Global Airbag & Inflator Engineering, and Director of European Engineering. Mr. Wehner has over 25 years experience with Key Safety Systems, Inc. and the automotive sector. He holds a Bachelor of Science degree in Engineering from Wayne State University (Detroit), a Master of Science in Mechanical Engineering from the University of Michigan (Rackham Ann Arbor), and MBA from the University of Michigan (Ross Ann Arbor).